This beautiful traditional villa for sale sits in the peaceful district of Kerobokan, in a quiet neighborhood, yet close to the trendy shops and restaurants of Seminyak. Métisse, Kudéta and the famous Potato head are only 5 minutes away. 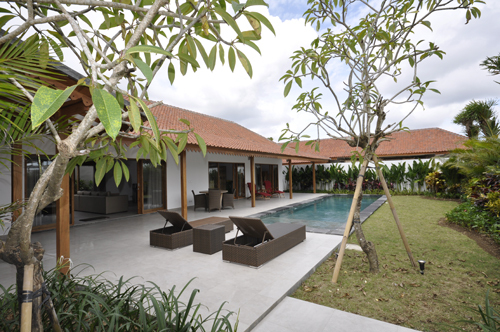 Created from an authentic Javanese house “Joglo”, the property offers a nice blend of ethnic and modern feel. It has three air-conditioned bedrooms: two of them are attached to the living room while the third, slightly apart, is in a separate bungalow. All rooms have their own en-suite bathrooms. The living room consists of a lounge area, a dining room, and an equipped kitchen. It is totally open towards the swimming - pool and the garden. Completely refurbished last year, the property is in immaculate condition. 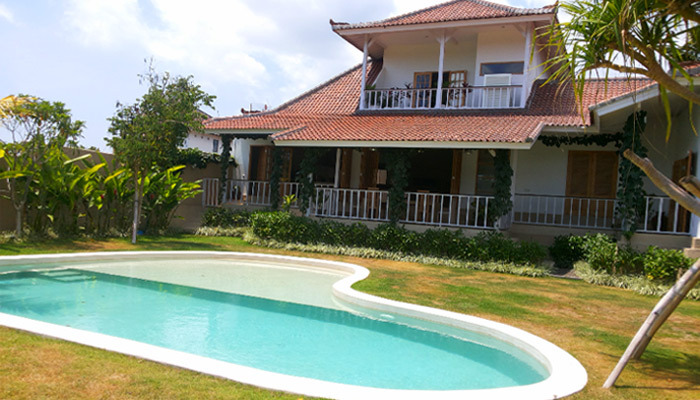 This 50 years leasehold villa would be the perfect opportunity for buyers looking to combine pleasure and profit in Bali.